A Cabinet decision on the Basic Policy on Economic and Fiscal Management and Reform, guidelines for the government when drafting the budget and revising the tax system, is again expected in June this year. The 2018 Basic Policy is expected to include guidelines for a “human resources development revolution” and a “productivity revolution,” as well as for fiscal consolidation. 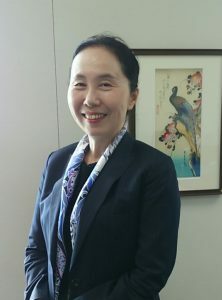 The FPCJ has invited Ms. Tomoko Hayashi, Deputy Director-General of the Cabinet Office Economic Research Bureau, to discuss the current state of the Japanese economy and the 2018 Basic Policy. Don’t miss this rare chance!